If your child complains about pangs of pain or tingles and twinges when touching their teeth, they’re probably dealing with tooth sensitivity and need to see an affordable dentist to treat the trouble properly. As a parent, it’s hard and it hurts to see your child struggling and suffering. But if your child is already stricken with the sensation of sensitive teeth, it’s helpful to know the reasons so you can diagnose their dental care issue. And if your child has yet to experience these tingling tooth troubles, you can also help protect and prevent your child from ever facing and feeling this pain. Either way, taking your child to an affordable dentist is your best first step. Time for New Teeth: Saying bye-bye to baby teeth is often met with the unwelcome arrival of tooth sensitivity as the shocking sensations of chewing and air make new teeth feel extra tender. Cavity Agony: In children of every age, cavities are to blame for most sensitivity struggles. A Crack Has Come: A bad bite or nightly grinding habit can cause hairline cracks in children’s teeth and spark a sensitive sensation when those teeth are touched. The Friction of Fillings: Silver fillings may solve one dental problem, but they can lead to another when their high thermal conductivity causes teeth to tingle if kids eat very cold or hot foods. Sinus Symptoms: The pain of sinus problems and allergies is bad enough, but children with these nasal issues often feel the sting of sensitive teeth. Need for Better Brushing: Even though poor brushing rarely leads to tooth sensitivity, children who never learned proper brushing habits may brush too rough or too fast. This can erode the delicate tooth enamel and tender gums, leading to later sensitivity. Or they may brush too hard and wind up wearing away the enamel and gums, which results in sensitivity. 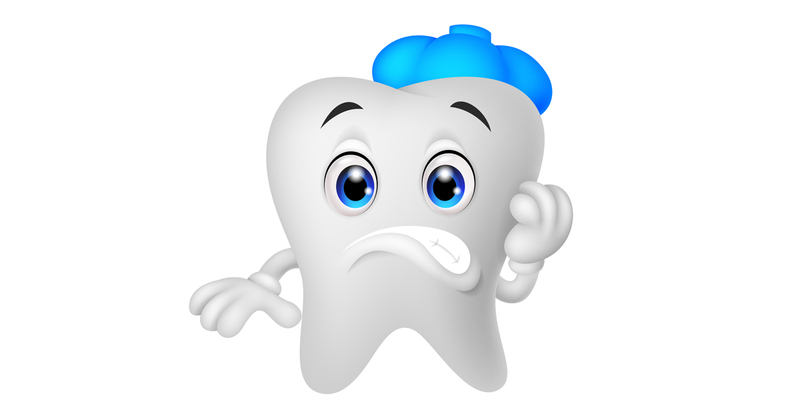 Don’t let the pain of tooth sensitivity cause trouble for your child. By visiting your affordable dentist and knowing the signs and symptoms of sensitivity, you can get your child the dental care they need to treat their sensitive teeth.